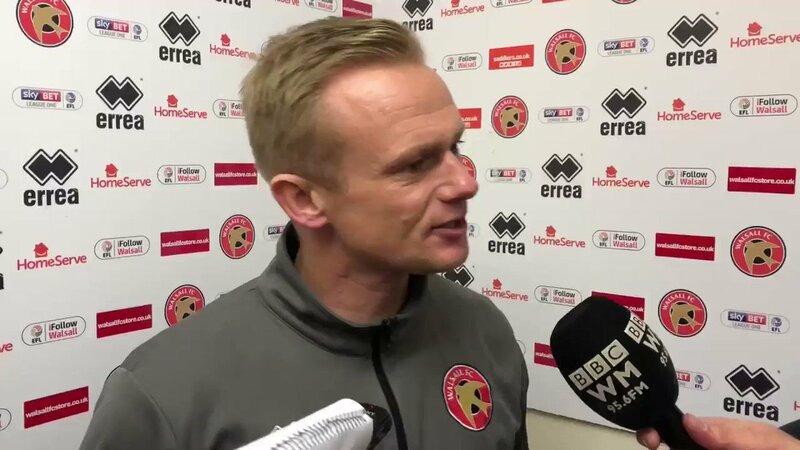 Dean Keates: "We Weren't Clinical Enough"
Walsall manager Dean Keates has spoken to the press following Tuesday evening's League One defeat to Plymouth Argyle, and admitted that he was frustrated as his side continued to work hard and display character, only to go on and concede goals from set pieces. The manager, who had hoped to see his side build upon last weekend's three-nil victory over Gillingham, went on to admit that both of the Pilgrims' goals were down to individual errors as each player is given an opponent to mark before kick-off, meaning that both were avoidable. Along with Andy Cook's sixteenth goal of the season the Saddlers had other goal-scoring opportunities and were their own worst enemy as a couple of free headers went begging as Plymouth, who moved out of the League one relegation zone following the match, earned a fourth win on the bounce. Dean, who was speaking to several sections of the local media, said; "The work rate was there, the character was there, but it's frustrating to concede from set pieces. They are a massive part of the game. We work on them, look at the opposition and what they do. "It's people not doing their jobs. There are things we do for different set pieces. The lads are given a man before the game. If your man doesn't score, you know you've done your job. There were two set plays, and two players have scored. "It was a tale of set pieces. They were clinical from their two, got two free headers. Set pieces, we work on them. It's that conviction, that desire, to go and head it. "We had a couple of very good chances during the 90 minutes, a couple of free headers, and we weren't clinical enough with them."